San Antonio's real estate market continued its strong trajectory through the end of the year. Comparing data year-to-date between December 2013 and December 2014 from the Texas Association of Realtors, here is a snapshot of what is happening in some of San Antonio's most sought after central neighborhoods. Check back soon for a look at neighborhoods in the northwest and northeast of San Antonio. The median home price in Alamo Heights decreased slightly from $449,900 to $444,000 with 156 homes sold in 2014. Homes for sale in Alamo Heights were on the market 37 fewer days compared to last year. The housing inventory shrank dramatically from 6.3 to 2 months, making December a strong Sellers' market in Alamo Heights. Click here to see all the homes for sale now in Alamo Heights. The median home price in Terrell Hills decreased from $426,000 to $388,000 with 71 homes sold in 2014. Homes for sale in Terrell Hills were on the market 6 fewer days compared to last year. The housing inventory increased from 4.9 months to 10.5 months. Click here to see all the homes for sale now in Terrell Hills. The median home price in Terrell Heights decreased from $230,000 to $223,000 with 47 homes sold in 2014. Homes for sale in Terrell Heights were on the market 10 more days compared to last year. The housing inventory shrank from 2.6 months to 2.5 months. Click here to see all the homes for sale now in Terrell Heights. The median home price in Northwood decreased from $299,500 to $270,000 with 77 homes sold in 2014. Homes for sale in Northwood were on the market 15 fewer days compared to last year. The housing inventory increased from 2.7 months to 5 months. Click here to see all the homes for sale now in Northwood. The median home price in Monte Vista rose from $365,000 to $400,125 with 46 homes sold in 2014. Homes for sale in Monte Vista were on the market 30 more days compared to last year. The housing inventory shrank from 12 months to 5 months. Click here to see all the homes for sale now in Monte Vista. The median home price in Olmos Park decreased from $526,750 to $530,500 with 34 homes sold in 2014. Homes for sale in Olmos Park were on the market 32 fewer days compared to last year. The housing inventory in Olmos Park increased from 15 months to 17 months. Click here to see all the homes for sale now in Olmos Park. The median home price in King William decreased from $340,000 to $287,500 with 23 homes sold in 2014. Homes for sale in King Wililam were on the market 132 fewer days compared to last year. The housing inventory in King William shrank from 5 months to 1 month in December. Click here to see all the homes for sale now in King William. Check back in a few days for more market analysis of other San Antonio neighborhoods. If you would rather not wait and you do not see your desired neighborhood listed in this post, please contact Jennifer Perloff for a detailed market analysis of any San Antonio or surrounding neighborhood. To get a complimentary analysis of your own home's market value, please contact Jennifer. The San Antonio Real Estate market finished strong in 2014. December boasted a 16% increase in number of home sales compared with December 2013. And, there was growth in all areas of the market last year -- increases in total sales, average home prices and median home prices. Overall, 2014 proved a strong conclusion to an impressive few years in the San Antonio housing market. Comparing housing data from December 2013 and and December 2014 in all San Antonio neighborhoods, the average home price rose 5% to $224,193 and the median home price rose 6% to $184,100 according to the San Antonio Board of Realtors. For more than two years now in San Antonio, inventory has remained under six months -- with current inventory at 3.5 months. Homes were on the market in San Antonio for only 70 days in December. 2014 was also a strong year for luxury home sales. According to the Texas Association of Realtors' 2014 Luxury Home Sales report. "The most aggressive growth in luxury sales in Texas was seen in San Antonio, where $1Million+ homes represented less than one percent of the market, but volume increased 26 percent over 2013." The report also noted that days on the market for luxury homes in San Antonio decreased from 18 months in 2013 to 15 months in 2014. The San Antonio economy is strong with more and more people entering the San Antonio housing market. With limited inventory, it is a great time to sell a home. With some of the lowest interest rates in years, it is a great time to buy a home too. Check back in a few days for more 2014 Year End market analysis as I break down the San Antonio neighborhoods by Central, Northeast and Northwest Locations. If you would rather not wait and you do not see your desired neighborhood listed in this post, please contact Jennifer Perloff for a detailed market analysis of any San Antonio or surrounding neighborhood. To get a complimentary analysis of your own home's market value, please contact Jennifer. Here is Part 3 of the 2014 Third Quarter Housing Update -- this time focusing on San Antonio's northeast neighborhoods and beyond. Comparing data from January through September 2013 and January through September 2014, from the Texas Association of Realtors, here is a snapshot of what is happening in some of San Antonio's most sought after northeast neighborhoods. The median home price in Oakwell Farms rose from $327,500 to $343,000 with 38 homes sold year-to-date. Homes for sale in Oakwell Farms were on the market 28 more days compared to last year. The housing inventory remained increased from 3.8 months to 7 months. The median home price in Shavano Park decreased from $450,000 to $416,500, with 26 homes sold year-to-date. Homes for sale in Shavano Park were on the market 58 fewer days compared to last year. The housing inventory in Shavano Park shrank from 4.8 months to 3.4 months. The median home price in Encino Park increased from $205,000 to $214,500 with 34 homes sold year-to-date. Homes for sale in Encino Park were on the market 1 more day compared to last year. The housing inventory decreased from 4.5 months to 2 months, indicating a continued, strong seller's market. The median home price in Garden Ridge decreased from $452,680 to $427,807, with 36 homes sold year-to-date. Homes for sale in Garden Ridge were on the market 58 fewer days compared to last year. The housing inventory shrank from 12 months to 6.1 months. The median home price in Bulverde increased from $318,000 to $338,375, with 94 homes sold year-to-date. Homes for sale in Bulverde were on the market 2 fewer days compared to last year. The housing inventory rose from 6.4 months to 7.4 months. Here is Part 2 of the Third Quarter Housing Update -- this time focusing on San Antonio's northwest neighborhoods -- including a few north central neighborhoods, too. Comparing data from January - September 2013 and January-September 2014 from the Texas Association of Realtors, here is a snapshot of what is happening in some of San Antonio's most sought after northwest neighborhoods. The median home price in Castle Hills decreased from $261,000 to $236,000, with 41 homes sold year-to-date. Homes for sale in Castle Hills were on the market 38 more days compared to last year. The housing inventory shrank from 9 months to 3.5 months. The median home price in Elm Creek rose from $399,000 to $540,000 with 17 homes sold through September. Homes for sale in Elm Creek were on the market 13 fewer days compared with last year. The housing inventory is a 7.7 months currently in Elm Creek. The median home price in Deerfield increased from $332,000 to $351,500, with 45 homes sold year-to-date. Homes for sale in Deerfield were on the market 14 days longer compared with last year. The housing inventory rose from 2.6 months to 4 months. The median home price in Stone Oak (Zip Code 78258) increased from $275,000 to $298,700 with 690 homes sold year-to-date. Homes for sale in the Heights of Stone Oak were on the market 3 fewer days compared last year. The housing inventory decreased from 4.5 to 4.3 months. The median home price in Rogers Ranch rose from $385,000 to $400,000 with 91 homes sold year-to-date. Homes for sale in Rogers Ranch were on the market 24 more days compared with last year. The housing inventory rose slightly from 4.1 months to 4.4 months. The median home price in Hollywood Park decreased from $295,000 to $260,900 with 45 homes sold year-to-date. Homes for sale in Hollywood Park were on the market 24 fewer days compared to last year. The housing inventory shrank from 4.3 months to 2.8 months. The median home price in the Dominion increased from $610,000 to $700,000, with 57 homes sold year-to-date. Homes for sale in the Dominion were on the market 19 more days compared to last year. The housing inventory in the Dominion increased from 20.4 months to 26.3 months. The median home price in Fair Oaks Ranch increased from $392,000 to $401,200 with 114 homes sold year-to-date. Homes for sale in Fair Oaks Ranch were on the market 74 fewer days compared with last year. The housing inventory in Fair Oaks Ranch shrank from 10.1 months to 5.4 months. The median home price in Helotes (zip code 78023) increased from $265,000 to $267,250 with 376 homes sold in year-to-date. Homes for sale in Helotes were on the market 16 fewer days compared with last year. The housing inventory rose slightly from 4.4 months to 4.6 months, keeping Helotes in a seller's market. The median home price in Boerne (zip code 78006) increased from $274,600 to $299,001 with 393 homes sold year-to-date. Homes for sale in Boerne spent 6 fewer days on market compared with last year. The housing inventory shrank from 8.9 months to 6.9 months. The San Antonio Real Estate Market continues to strengthen while other markets around the country are slowing down. Comparing housing data from September 2013 and September 2014 in all San Antonio neighborhoods, the average home price rose 9% to $184,700 and the average home price rose 7% to $220,366, according to the San Antonio Board of Realtors. For nearly two years now in San Antonio, inventory has remained under six months -- with current inventory at 4.3 months. Homes were on the market in San Antonio 6 fewer days in September compared with last year. Homes between $200,000 and $500,000 made up 39% of sales. Homes under $200,000 made up 56% of sales. Homes over $500,000 accounted for 4% of total sales in September. Now let's break it down, starting with the central neighborhoods: Comparing data year-to-date between September 2013 and September 2014 from the Texas Association of Realtors, here is a snapshot of what is happening in some of San Antonio's most sought after central neighborhoods. Check back soon for a look at neighborhoods in the northwest and northeast of San Antonio. The median home price in Alamo Heights increased from $433,250 to $451,000 with 116 homes sold year-to-date. Homes for sale in Alamo Heights were on the market 40 fewer days compared to last year. The housing inventory shrank from 5.8 to 4.6 months. The median home price in Terrell Hills increased slightly from $425,500 to $428,000 with 53 homes year-to-date. Homes for sale in Terrell Hills were on the market 16 more days compared to last year. The housing inventory shrank from 5.6 months to 5.3 months. The median home price in Terrell Heights decreased from $235,000 to $220,750 with 39 homes sold year-to-date. Homes for sale in Terrell Heights were on the market 12 more days compared to last year. The housing inventory shrank from 3.8 months to less than 1 month. The median home price in Northwood decreased from $293,000 to $263,500 with 60 homes sold year-to-date. Homes for sale in Northwood were on the market 24 fewer days compared to last year. The housing inventory increased from 4.2 months to 10.3 months. The median home price in Monte Vista rose from $370,000 to $414,375 with 38 homes sold year-to-date. Homes for sale in Monte Vista were on the market 3 more days compared to last year. The housing inventory rose from 7.3 months to 11.5 months. The median home price in Olmos Park decreased from $565,000 to $500,500 with 24 homes sold year-to-date. Homes for sale in Olmos Park were on the market 44 fewer days compared to last year. The housing inventory in Olmos Park increased from 2.5 months to 3.4 months. Here is Part 3 of the 2014 Second Quarter Housing Update -- this time focusing on San Antonio's northeast neighborhoods and beyond. Comparing data from January through June 2013 and January through June 2014, from the Texas Association of Realtors, here is a snapshot of what is happening in some of San Antonio's most sought after northeast neighborhoods. The median home price in Oakwell Farms rose from $325,000 to $350,000 with 24 homes sold year-to-date. Homes for sale in Oakwell Farms were on the market 33 more days compared to last year. The housing inventory remained decreased from 3.5 months to .4 months. The median home price in Shavano Park decreased from $450,000 to $367,000, with 14 homes sold year-to-date. Homes for sale in Shavano Park were on the market 100 fewer days compared to last year. The housing inventory in Shavano Park shrank from 3.8 months to 3.6 months. The median home price in Encino Park increased from $203,500 to $214,000 with 24 homes sold year-to-date. Homes for sale in Encino Park were on the market 5 more days compared to last year. The housing inventory decreased from 2 months to 1.8 months, indicating a strong seller's market. The median home price in Garden Ridge decreased from $440,500 to $430,807, with 20 homes sold year-to-date. Homes for sale in Garden Ridge were on the market 63 fewer days compared to last year. The housing inventory rose from 3.3 months to 21.5 months. The median home price in Bulverde increased from $315,000 to $360,950, with 54 homes sold year-to-date. Homes for sale in Bulverde were on the market 14 fewer days compared to last year. The housing inventory rose from 4.3 months to 7.3 months. Here is Part 2 of the Second Quarter Housing Update -- this time focusing on San Antonio's northwest neighborhoods -- including a few north central neighborhoods, too. Comparing data from January -June 2013 and January-June 2014 from the Texas Association of Realtors, here is a snapshot of what is happening in some of San Antonio's most sought after northwest neighborhoods. The median home price in Castle Hills decreased from $250,250 to $230,000, with 27 homes sold year-to-date. Homes for sale in Castle Hills were on the market 24 more days compared to last year. The housing inventory rose from 3.5 months to 5.3 months. The median home price in Deerfield increased from $321,500 to $350,000, with 35 homes sold year-to-date. Homes for sale in Deerfield were on the market 13 days longer compared with last year. The housing inventory shrank from 3.3 months to 2.5 months. The median home price in Inwood rose from $449,500 to $472,000, with 11 homes sold year-to-date. Homes for sale in Inwood were on the market 23 fewer days compared with last year. The housing inventory rose from 3.5 to 8 months. The median home price in the Heights of Stone Oak increased from $318,250 to $337,500 with 25 homes sold year-to-date. Homes for sale in the Heights of Stone Oak were on the market 9 more days compared last year. The housing inventory rose from 2.7 to 5.2 months. The median home price in Rogers Ranch rose from $368,389 to $401,200 with 63 homes sold year-to-date. Homes for sale in Rogers Ranch were on the market 10 fewer days compared with last year. The housing inventory rose slightly from 2.1 months to 2.8 months. The median home price in Hollywood Park decreased from $289,250 to $253,500 with 26 homes sold year-to-date. Homes for sale in Hollywood Park were on the market 20 fewer days compared to last year. The housing inventory increased from 1.1 months to 6.5 months. The median home price in the Dominion increased from $615,000 to $699,500, with 40 homes sold year-to-date. The housing inventory in the Dominion shrank from 14.7 months to 12.4 months. The median home price in Fair Oaks Ranch increased from $398,350 to $400,000 with 83 homes sold year-to-date. Homes for sale in Fair Oaks Ranch were on the market 61 fewer days compared with last year. The housing inventory in Fair Oaks Ranch rose from 5.4 months to 6.3 months. The median home price in Helotes (zip code 78023) decreased from $263,000 to $255,000 with 225 homes sold in year-to-date. Homes for sale in Helotes were on the market 27 fewer days compared with last year. The housing inventory rose from 2.8 months to 5.5 months, keeping Helotes in a seller's market. The median home price in Boerne (zip code 78006) increased from $274,600 to $299,001 with 249 homes sold year-to-date. Homes for sale in Boerne spent 10 fewer days on market compared with last year. The housing inventory shrank from 5.9 months to 5.1 months. San Antonio's real estate market continues to be strong the second quarter of 2014. 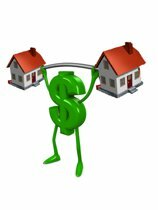 Comparing housing data from June 2013 and June 2014 in all San Antonio neighborhoods, the median home price rose 5% to $188,200 and the average home price rose 6% to $232,839, according to the San Antonio Board of Realtors. Homes were on the market in San Antonio 12 fewer days compared with last year. Homes between $200,000 and $500,000 made up 41% of sales. Homes under $200,000 made up 54% of sales. Homes over $500,000 accounted for 5% of total sales in June. Now let's break it down, starting with the central neighborhoods: Comparing data year-to-date between June 2013 and June 2014 from the Texas Association of Realtors, here is a snapshot of what is happening in some of San Antonio's most sought after central neighborhoods. 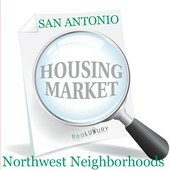 Check back soon for a look at neighborhoods in the northwest and northeast of San Antonio. The median home price in Alamo Heights increased from $429,000 to $463,000 with 71 homes sold year-to-date. Homes for sale in Alamo Heights were on the market 49 fewer days compared to last year. The housing inventory shrank from 7.6 to 3.5 months. The median home price in Terrell Hills rose from 447,500 to $476,000 with 28 homes year-to-date. Homes for sale in Terrell Hills were on the market 59 more days compared to last year. The housing inventory grew from 4.1 months to 7.8 months. The median home price in Terrell Heights decreased from $247,000 to $215,875 with 24 homes sold year-to-date. Homes for sale in Terrell Heights were on the market 12 fewer days compared to last year. The housing inventory shrank from 6 months to 1.6 months. The median home price in Northwood decreased from $285,950 to $263,500 with 44 homes sold year-to-date. Homes for sale in Northwood were on the market 28 fewer days compared to last year. The housing inventory decreased from 2.6 months to 2.4 months. The median home price in Monte Vista rose from $377,750 to $387,500 with 24 homes sold year-to-date. Homes for sale in Monte Vista were on the market 8 more days compared to last year. The housing inventory rose from 2.3 months to 6.5 months. The median home price in Olmos Park rose from $488,000 to $540,000 with 13 homes sold year-to-date. Homes for sale in Olmos Park were on the market 52 fewer days compared to last year. The housing inventory in Olmos Park increased from 5.4 months to 8.7 months.